Daily price from £428 (based on a 7 day hire). 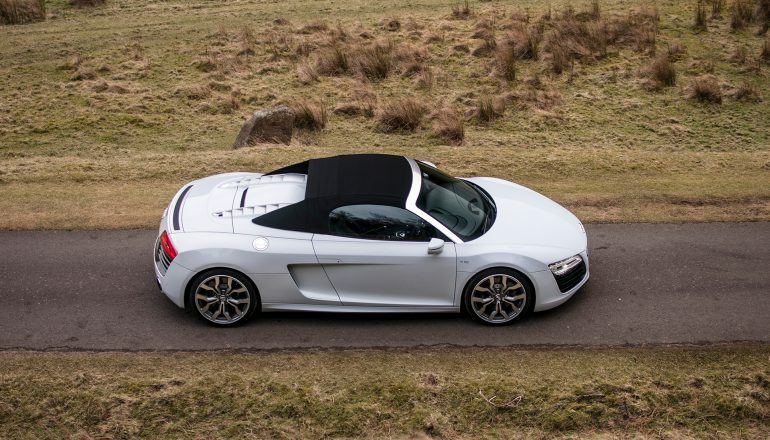 The Audi R8 Spyder has a lightweight aluminum based soft-top. 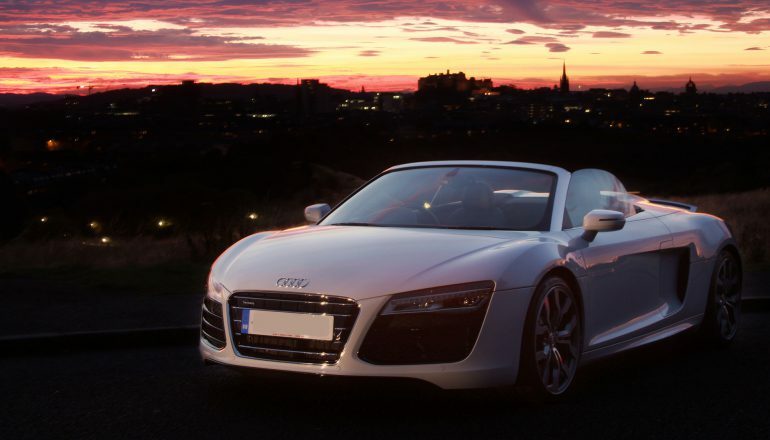 It has a revolutionary electrohydraulical closing system that allows you to close the top at speeds of up to 30mph. 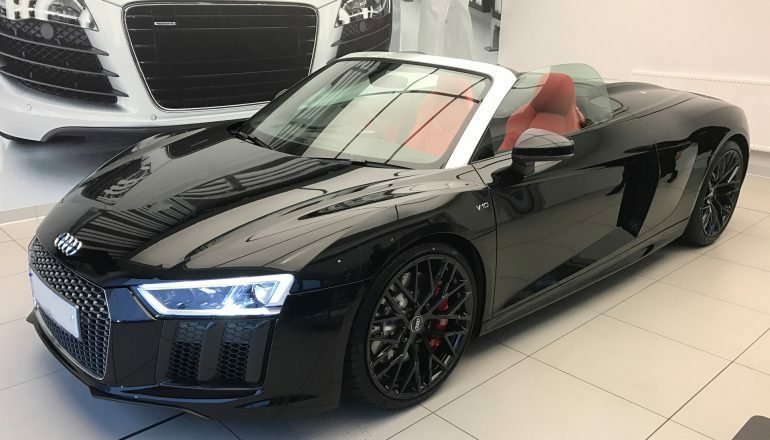 Hire this Audi R8 V10 Spyder and experience the new 7-speed S tronic engine which gives the Audi a sporty feel and a wide gear ratio. 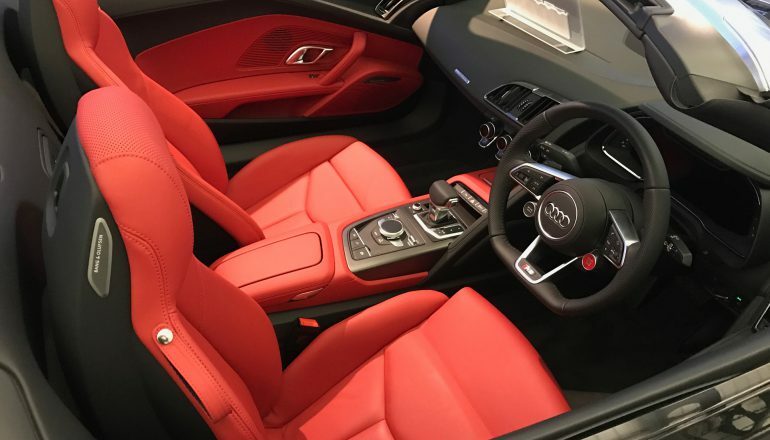 The interior of the Audi is as well engineered as the engine, featuring the ‘monoposto’ a long arc curving around the driver, and many other gadgets and gizmos, making this an unforgettable drive. 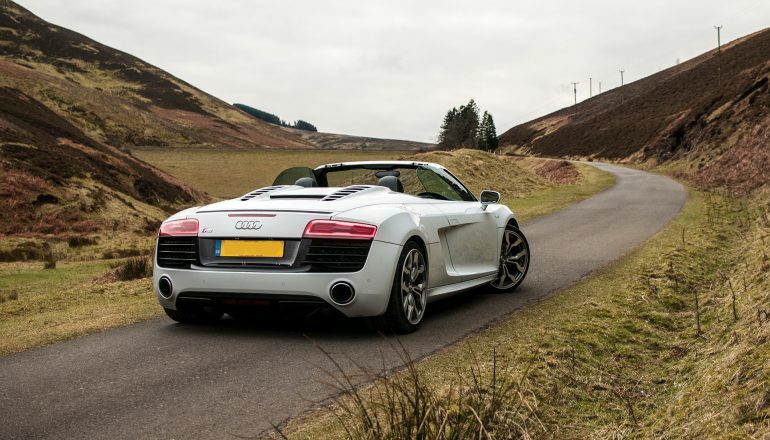 Hire a Audi R8 V10 Spyder from Northern Supercar Hire - call 01244 434 455 or email info@northernsupercarhire.com today for your tailor-made quotation. "From the moment people saw it parked up in front of the venue, it really set the tone for the rest of the day (and we had the most amazing fun ‘owning’ it for four days – one of the highlights being the Manchester Airport tunnels!). Hopefully we can come up with another special occasion which means we can use your services again in the not too distant future!"